Prime objective of this lecture is to present on Ancient Civilizations. Here briefly describe on Ancient Rome, Ancient Egypt, Ancient Greece, Africa, Ancient China and Ancient India Civilizations. 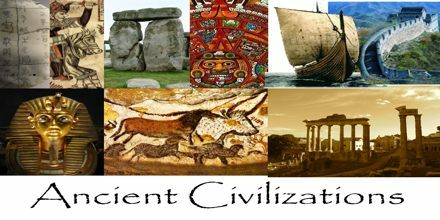 This lecture focus to following topics to explain Ancient Civilizations. Political: Who controls what; What type of government is there; Anything to do with laws or war. Economic: What type of economy; How do people make a living. Geography: Where is it; Is the land mountainous; Desert; Oceanic. Social: Religious, intellectual and artistic.